The latest volume in the riveting Carter Blake series! A young woman’s friend and neighbor disappear overnight as though she was never there. Afterward, someone breaks in and searches the place. Oddly, the police seem unconcerned. Finding the neighbor’s hidden spare key, the woman discovers something the searchers missed. This gives her an e-mail address—that of Carter Blake! Carter Blake discovers that he did know the missing neighbor. He can remember the last time he saw the lady. That was when she left him a message—don’t look for me! 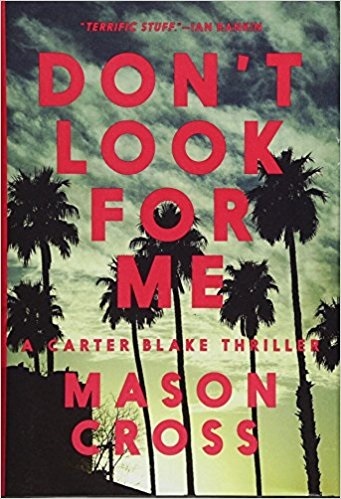 This newest volume in the on-going Carter Blake series is an amazing work of art! As usual, Mason Cross’ story is told from several viewpoints; sometimes the first-person accounts of Blake himself, sometimes the record of other characters. This enhances rather than hinders the flow of the story. The style of the prose constantly keeps the reader updated on the many threads of the mystery! The transition between the viewpoints is like a movie or television show shifting from one camera to another to keep the action flowing! There are multiple layers of drama that are unbelievably smooth and balanced! I gladly give this book five stars plus! Encore, please!